Hey fellow flyer and lover of the sport! pleasure of meeting, talking to and interacting with many fanciers both new and old. you have to say about it. 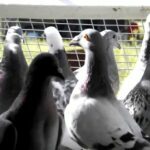 What do you think is more vital to being successful in the sport of pigeon racing? Is it having a strong foundation stock in your loft? 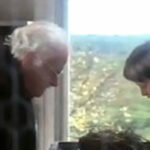 Is it having a strong knowledge base of how to run and manage a winning loft? you rather have a winning knowledge base with birds that have no prior history of results. So what do you think wins… Winning Pedigrees? or a Winning Mindset? Of course I know many people are going to say that having both is the “perfect storm” for success but the question here is one or the other. I as I’m sure you as well really look forward to seeing and reading the results of this poll. So go ahead and submit your vote and comment now! What do you think is more important to winning in the sport of pigeon racing? 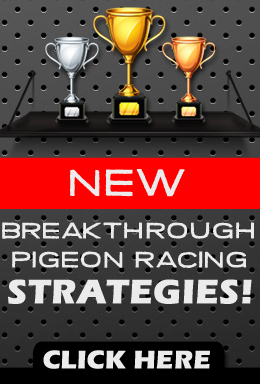 Training Racing Pigeons - Types of Tosses "Developing Leaders Instead of Followers"
Vote for your favorite pigeon tee! Knowledge starts with common sense, it doesnt just give you the ability to apply good husbandry but also able you to select the good birds…simple as that! Knowledge. Think of it like this, I can go to the feed store and buy racing pigeons for $5.00 each. And hope these birds fly well. But my knowledge tells me that these birds are someone else’s culls, and that’s why they are here for $5.00 Now my next option is to do some research and buy birds from lofts with good race results. So how do you make this decision as to where to buy your birds. My opinion would be you are using your knowledge before you ever buy your first bird. 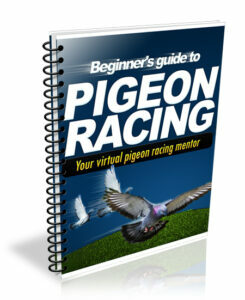 I must go with knowledge I think one of the most important books is by Joe Rotondo on racing pigeons, and in it he says that you can take an average breeder and make a great pigeon average, and you can take a great breeder and make an average pigeon great and I have seen this. If knowledge is the key then why do all the birds in ones loft not win or get prizes. Knowledge should make them all come. The winners in their lofts are the good birds. Knowledge can not make bad birds good. That’s why in sales the best birds make the most values. Even the likes of van den abeele has bad birds but he obviously has knowledge. Nicely said Gavin, I specifically like the last line where you say “…great pigeons teach you how to race a good bird”. It’s thought provoking and something to think of. You must have good pigeons. Great knowledge won’t help a Cart horse win the Derby. OK all, I will kick off the comments. I personally think that having a champion level set of knowledge in this sport is more important than champion birds or pedigrees. Pedigrees and birds alone are unpredictable and unreliable and wont give you the consistency needed to really excel in this sport. I have seen many times very expensive birds that didn’t do well and I have also seen champion fanciers take mediocre birds to the tops of the race sheets. To me, if you have the knowledge and know-how to build, run and manage a winning loft then you will be more consistent then a fanciers relying on birds and bloodlines alone. What do you think? let me hear your thoughts and comments. One can have all the knowledge in the world but without the ability to handle birds then knowledge is useless. I have seen champions with knowledge and the ability to handle birds fly road pickers to 600 miles, whilst guys with great knowledge struggle to fly past 300 miles. I have also seen champions pigeons ruined by fools …………….. In truth i have no idea who Joe Rotondo is nor have i read his book nor do i have his reputation for pigeon racing. But what i can tell any new flyer is to pick the top flyer in your federation who is located in worse position in your federation. For he/she is the true top flyer who nine times out ten have the ability to handle pigeons or any animal for that matter. In our federation has over 380 flyers most seasons we average at least one federation race win, keeping in mind normal federation race averages between 8 to 10 thousand birds, in the last ten years we have run twice 2nd federation averages. With our best season being 4 federation wins including a national from 400 miles. Our loft is not located in a top spot rather we are off the line of flight most season by at least 20 miles.